In twentieth-century Canada, mainline Protestants, fundamentalists, liberal nationalists, monarchists, conservative Anglophiles, and left-wing intellectuals had one thing in common: they all subscribed to a centuries-old world view that Catholicism was an authoritarian, regressive, untrustworthy, and foreign force that did not fit into a democratic, British nation like Canada. 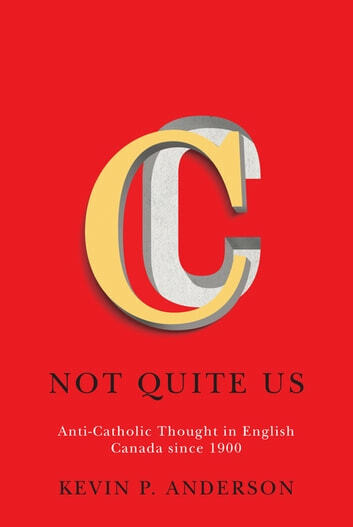 Analyzing the connections between anti-Catholicism and national identity in English Canada, Not Quite Us examines the consistency of anti-Catholic tropes in the public and private discourses of intellectuals, politicians, and clergymen, such as Arthur Lower, Eugene Forsey, Harold Innis, C.E. Silcox, F.R. Scott, George Drew, and Emily Murphy, along with those of private Canadians. Challenging the misconception that an allegedly secular, civic, and more tolerant nationalism that emerged excised its Protestant and British cast, Kevin Anderson determines that this nationalist narrative was itself steeped in an exclusionary Anglo-Protestant understanding of history and values. He shows that over time, as these ideas were dispersed through editorials, cartoons, correspondence, literature, and lectures, they influenced Canadians' intimate perceptions of themselves and their connection to Britain, the ethno-religious composition of the nation, the place of religion in public life, and national unity. Anti-Catholicism helped shape what it means to be "Canadian" in the twentieth century. Not Quite Us documents how equating Protestantism with democracy and individualism permeated ideas of national identity and continues to define Canada into the twenty-first century.